Correct attire for summer cocktails or a freshly squeezed juice at the beach bar. 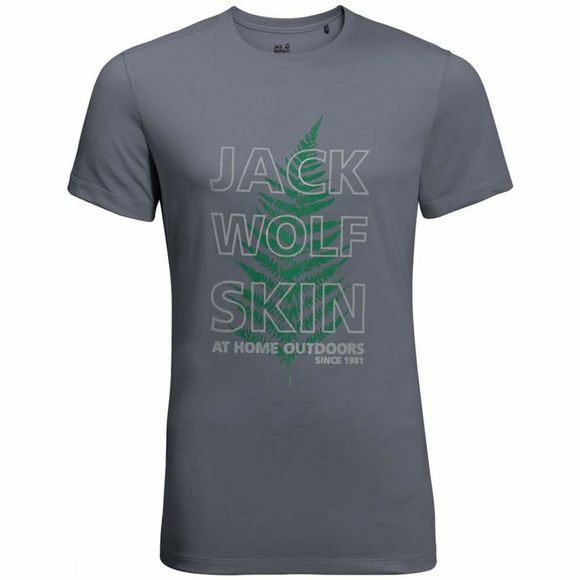 The Mens Island Hill Tee scores extra style points for its Jack Wolfskin lettering and stylish graphic print. The fabric is a summery blend of organic cotton and polyester. It fits superbly well and is nice and light–a big plus on hot days.